In May 2007 the residents of the Scottish village of Cowie gathered to unveil a memorial to Pilot Officer Carlyle Everiss – a New Zealand fighter pilot whose heroic actions saved the lives of many villagers during the Second World War. Carlyle Gray Everiss was born in Gisborne on 3 December 1914. Following the outbreak of the Second World War he enlisted in the Royal New Zealand Air Force and began pilot training in January 1941. After gaining his pilot’s wings in Canada, Everiss was sent to the United Kingdom and posted to No. 58 Operational Training Unit at Grangemouth, beside the Firth of Forth in central Scotland. Everiss and another pilot were returning from an air combat exercise on 2 October 1941 when the engine of his Spitfire stalled over the mining village of Cowie, about 10 km from Grangemouth. With his crippled plane heading straight for a tightly packed row of houses, Everiss refused to bail out and made a desperate attempt to gain altitude. While he managed to clear the village his plane was thrown into an uncontrollable tailspin and crashed into railway sidings at a nearby coal mine. Villagers were able to pull Everiss from the burning wreckage but the young pilot died shortly afterwards and was buried in Grangemouth (Grandsable) Cemetery. Despite his hero status in Cowie, little was known about Everiss until local resident John Craig travelled to New Zealand in 1979 and tracked down his brother-in-law. 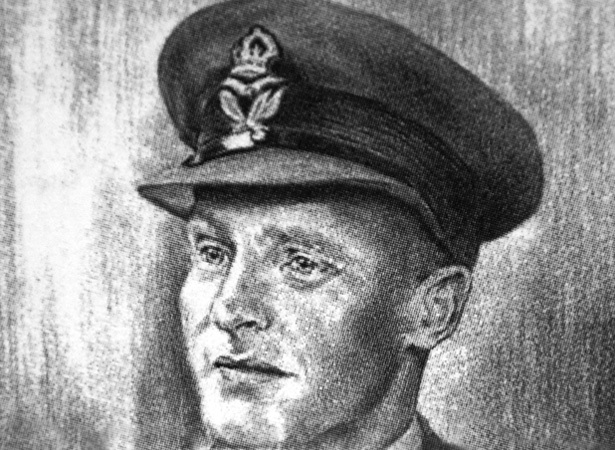 He lent Craig a photograph of Pilot Officer Everiss in uniform and a painting was commissioned based on this picture. The portrait, entitled Carlyle Everiss – The Face of Courage, was hung in the clubrooms of the Cowie Bowling Club, near the crash site. On 19 May 2007 a memorial commemorating the young pilot’s sacrifice was unveiled in Cowie. The bronze bust of Everiss was erected atop a rock plinth after £12,000 was raised by local residents. We have 9 biographies, 18 articles, related to New Zealand pilot saves Scottish village.